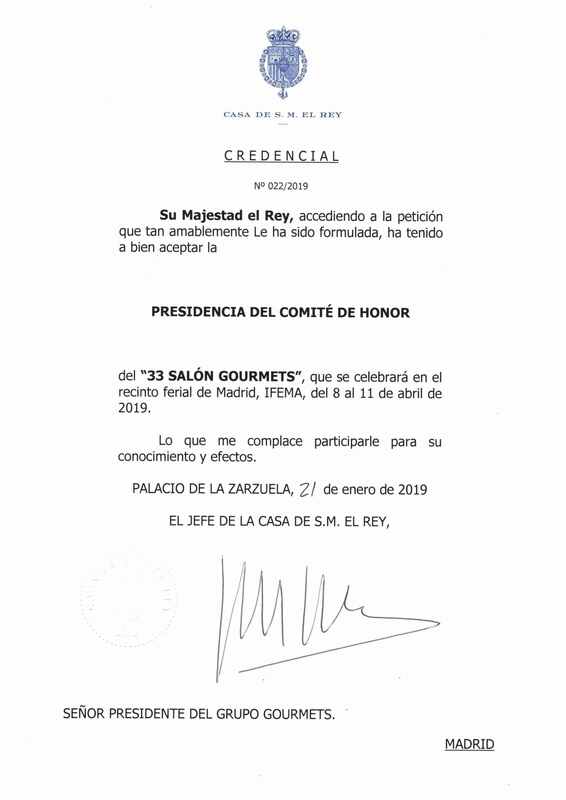 The Honor Committee of the 33 Gourmets Hall is chaired by his Majesty the King of Spain Felipe VI. Grupo Gourmets invites to be part of the Honor Committee to different authorities, who with their participation institutionally support the Salón Gourmets. In edition 33 his Majesty the King Don Felipe VI has accepted to preside over this Committee of Honor.